Bitcoin continues to go up with nothing stopping it, this dramatic increased caused many investors to start buying many of the other Alt Coins. As a result the Alt coins ( coins other than Bitcoin ) started to go up at a much faster rate than bitcoin. This is important as many of the mining pools will do an auto-exchange and pay their miners in Bitcoin, which makes it easy to cash out earnings to pay for electricity and hardware. Bitcoin continued to climb, but one of the biggest mining pools (Nicehash) got hacked and took themselves offline for 2 weeks while they made updates. Nicehash was the Mac of Mining pools. It didn't take any advanced knowledge. You just downloaded their software and ran it on your computer. Their software supported both CPU and GPU mining, and would auto profit switch so you were only mining the most profitable coins. Nicehash was huge in the GPU mining space. On some coins they represented 50% of the mining efforts. When Nicehash went down, most of the miners who used nice hash went down as well. 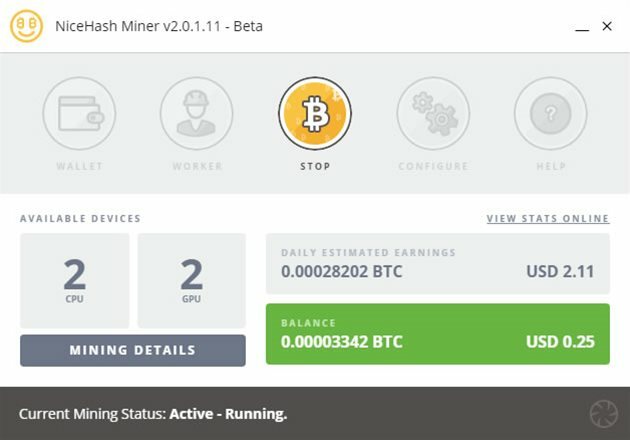 Only experienced miners switched to other pools. The void left by nicehash was quickly filled by other mining pools who benefitted by being a larger portion of the network. This mean that all miners on other pools were now making significantly more than they previously were. In those days a GTX 1080 ti with the correct tuning and Algos would make $14 / day. At this point Nicehash was back online, and so where all the novice miners who used their software, profits started to drop again. By Mid January 2018 a GTX 1080 ti was only making $10 / day. This and the drop in bitcoin value started to squeeze the market, but not enough to stop miners from buying up GPUs. By Mid March Bitcoin was down again. As Bitcoin dropped the Alt coins dropped even harder, this meant that the earnings of BTC to Alt coins was even lower than normal. A GTX 1080 Ti only makes about $3 /day now. Many miners are sitting on their earnings waiting on BTC to go up again before cashing out. With the reduced profits for GPUs, Some miners are getting out of the mining business and liquidating thier GPUs on ebay. a GTX 1080 Ti can now be had for close to $800 on the secondary market. Some miners are selling off their hardware in anticipation of the next generations of GPUs from Nvidia. Others live in areas where electricity costs more, which squeezes their profit margins even more. Bitcoin Mining doing even worse. 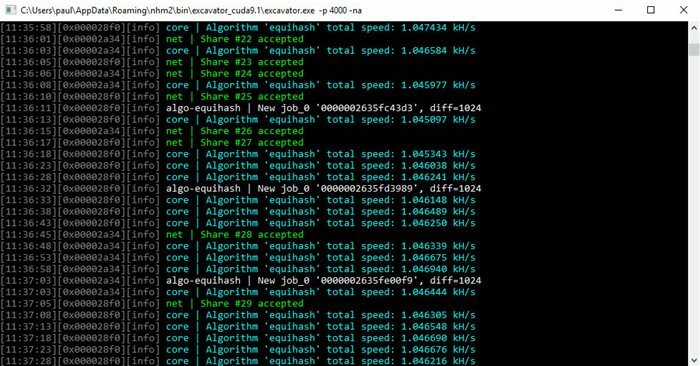 If you are mining with your GPU there are a wide range of Algos available to you, but if you are running ASIC units designed only to hash SHA-256 ( bitcoin ) your profits are being sweezed even harder. A top of the line ASIC miner such as the Antminer S9 running close to 14 TH/s can now only make about $8 / day, with a profit of $4.50 /day. That pretty bad considering today it costs about $2000 to buy that Model. Thats a breakeven point of 15 months assuming that current difficulty doesn't go up ( and it will ). I personally know guys who bought Antminer A9 units back in January and are still waiting on them to arrive. If the price of bitcoin continues to drop, GPU miners will be squeezed as well. Eventually even GPU miners will hit the point of zero profits, at which point they will turn their units off, sell them, or keep mining in faith that bitcoin will go up again. Miners in higher cost states running older hardware are likely to stop first. Guys with GTX 1070 and dedicated mining cards that are typically more efficient than the multipurpose cards will be able to keep mining though at a significantly lower profit margin. Or course we aren't taking into account depreciation of our hardware. Computer hardware tends to have a half life of 18 months ( Moores Law ). Applying that to our Hardware means our hardware after 12 months still has a value of $5333. Things are going to have to get pretty bad for GPU miners to stop mining. But at current rates, I think we are a point where future investment in GPUs will dramatically slow down.